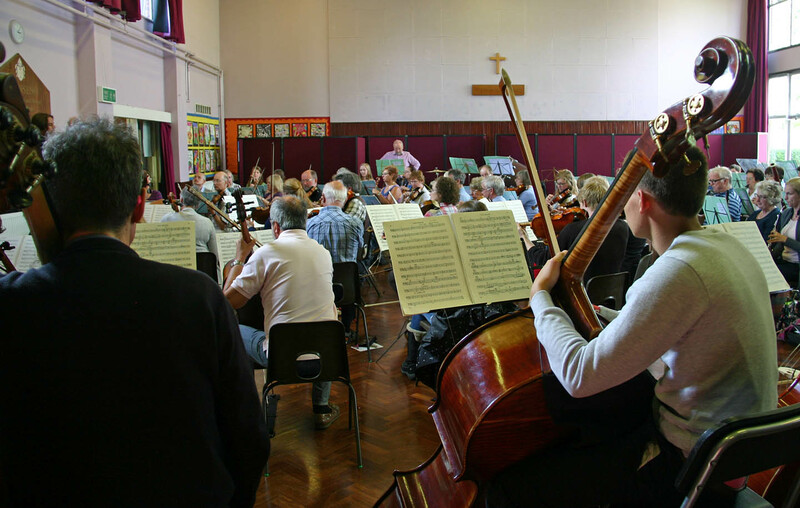 St Albans Symphony Orchestra has successfully brought together more than 90 musicians to take part in an epic musical commemoration of the invasion of Russia by Nazi Germany during the Second World War. 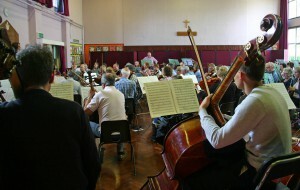 The weekend workshop sessions at Townsend Church of England School in St Albans were used to tackle the ‘Leningrad’ Symphony by Dmitri Shostakovich, which was partly written in the blockaded city and then performed there in 1942 as the brutal siege continued for 872 days. The symphony is written on an expansive scale, lasts almost 80 minutes and requires a specially large orchestra. *The orchestra is now preparing for it’s new season, which starts in St Albans Abbey on Saturday 26th October with the biennial St Cecilia Festival Society Concert featuring three local choirs in the German Requiem by Brahms. SASO’s popular Little Monsters children’s concerts take place on the afternoon of Sunday November 17th in St Saviour’s Church. These will be followed by the traditional New Year concert in the Abbey which will showcase Music from the Movies. Other concerts in 2014 include Mendelssohn’s popular Violin Concerto, played by Magnus Johnston (March 8th, Abbey), Scheherazade by Rimsky-Korsakov (May 10th, St Saviour’s) and Rachmaninov’s Piano Concerto No 3 with Alissa Firsova as soloist (June 28th, St Saviour’s). In addition, the March concert includes the soaring Alpine Symphony by Richard Strauss which the orchestra studied for its first workshop a year ago.